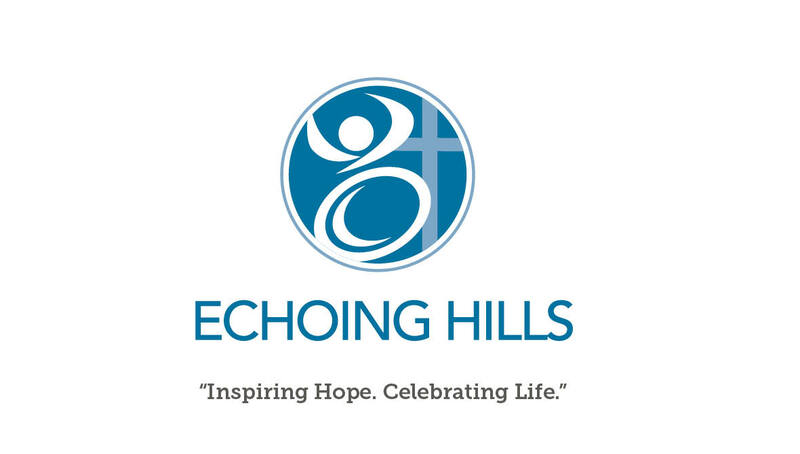 Over the past 50 years ago, Echoing Hills has grown to touch thousands of lives throughout Ohio, providing individuals with special needs a joyful place to live, connect, learn, and play. 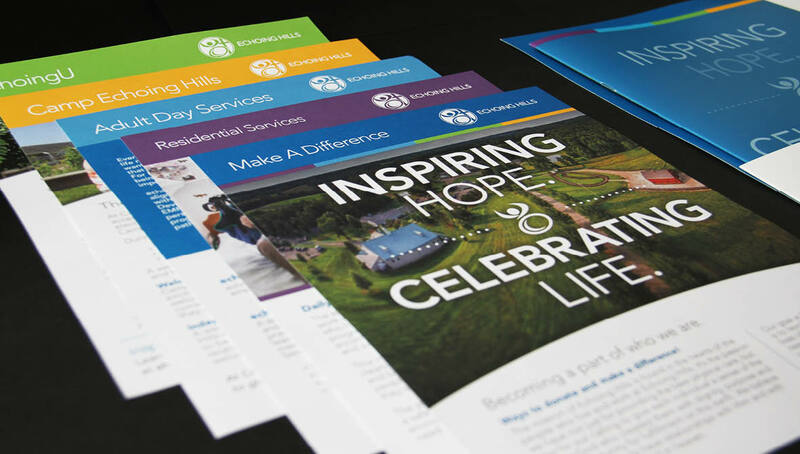 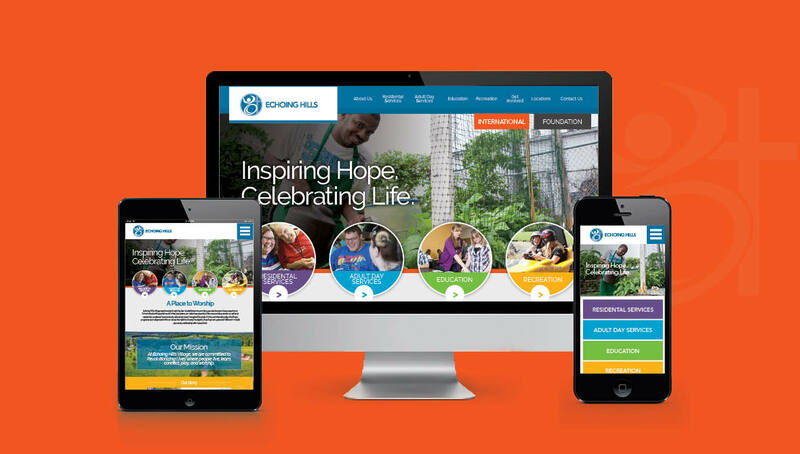 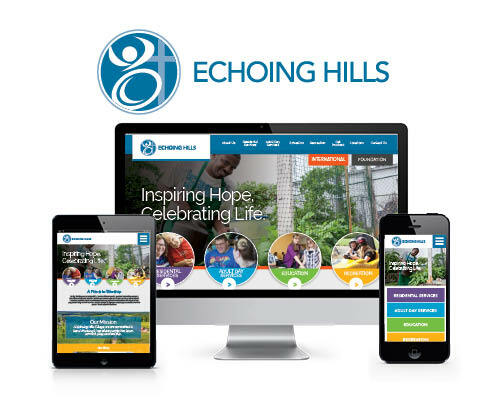 As the organization continued to expand, there became a greater need to create consistent messaging among the different programs and to generate greater awareness of the depth of services offered by Echoing Hills. 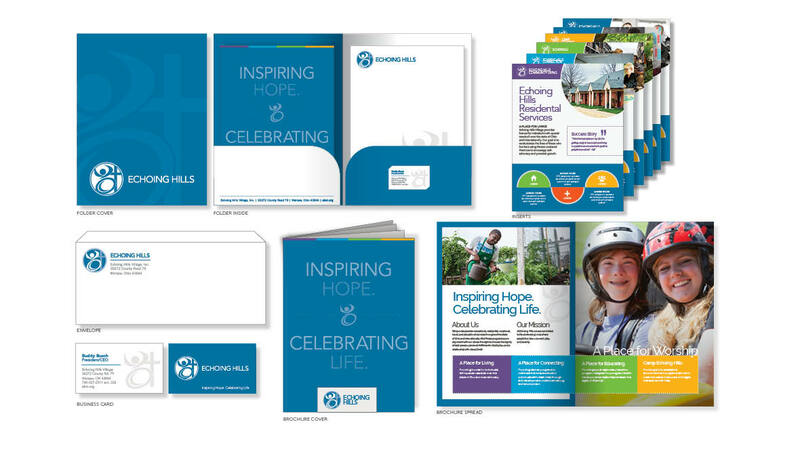 To do so, the organization asked Origo to revamp their brand and web strategy to better reflect the organization’s story and create a more cohesive brand identity. 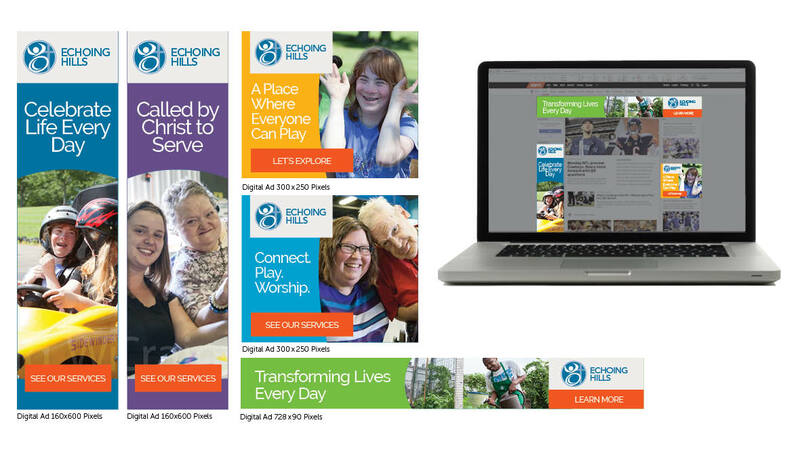 As part of these efforts, Origo worked with the organization to create a new brand identity (logo and tagline) to position their group as a leader in providing services, facilities, and solutions that advance life and learning goals for individuals with special needs. 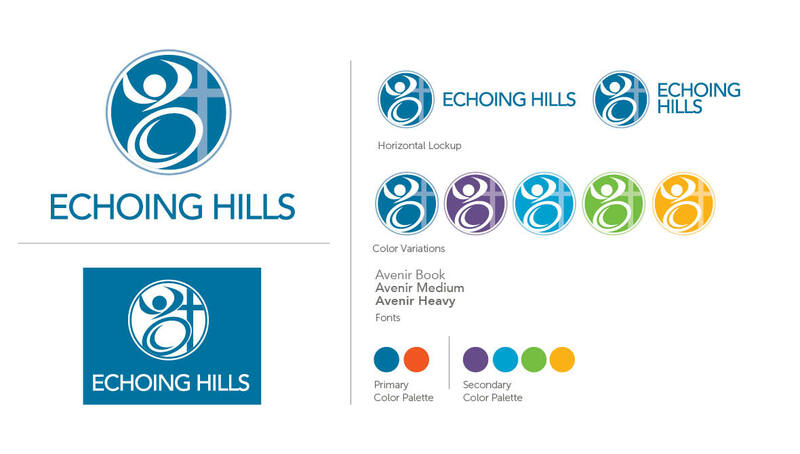 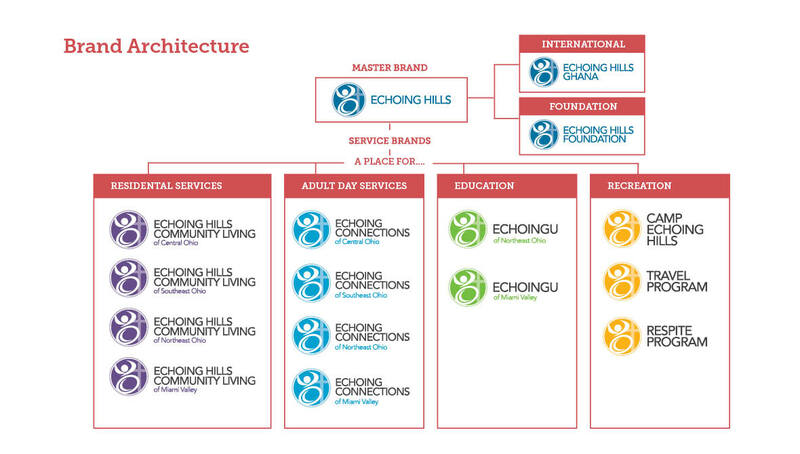 Origo also worked with the organization to develop a more solidified brand architecture for the different sub-programs, generating a Branded House to help communicate and promote Echoing Hills’ different services, programs, and locations of the organization. 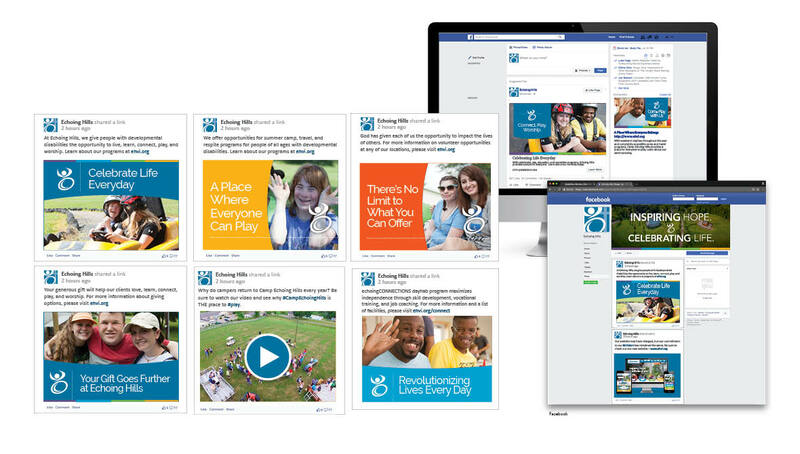 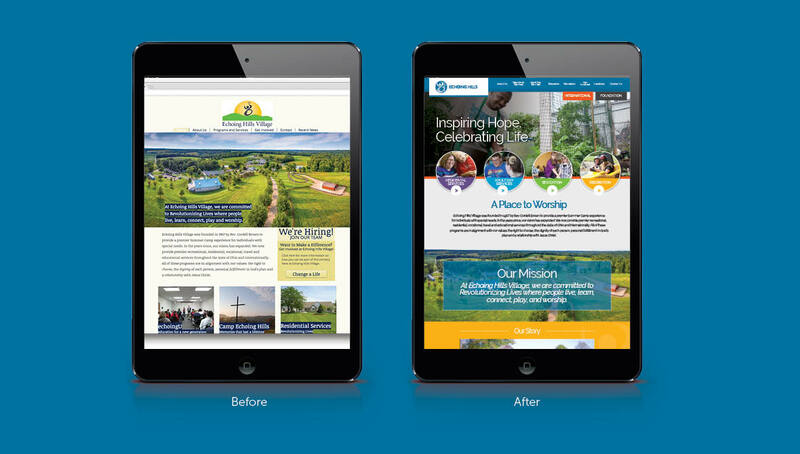 Once the brand strategy was in place, Origo applied the new visual and messaging elements to a website strategy, videos, and other media marketing targets designed to generate further awareness for the organization.